Bing search engine is offering real-time updates on the U.S. election. 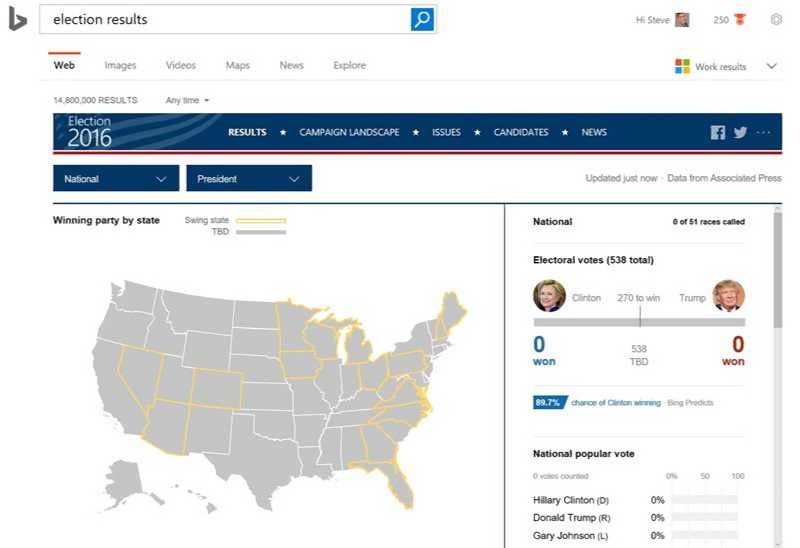 Microsoft Bing search will display real-time election stats and results as the day progress. The Bing search engine tools will let you dig into other stats too. To get live stats click “Go now” on the banner at the homepage, search “elections 2016 result,” or simply head directly to the interactive map here.